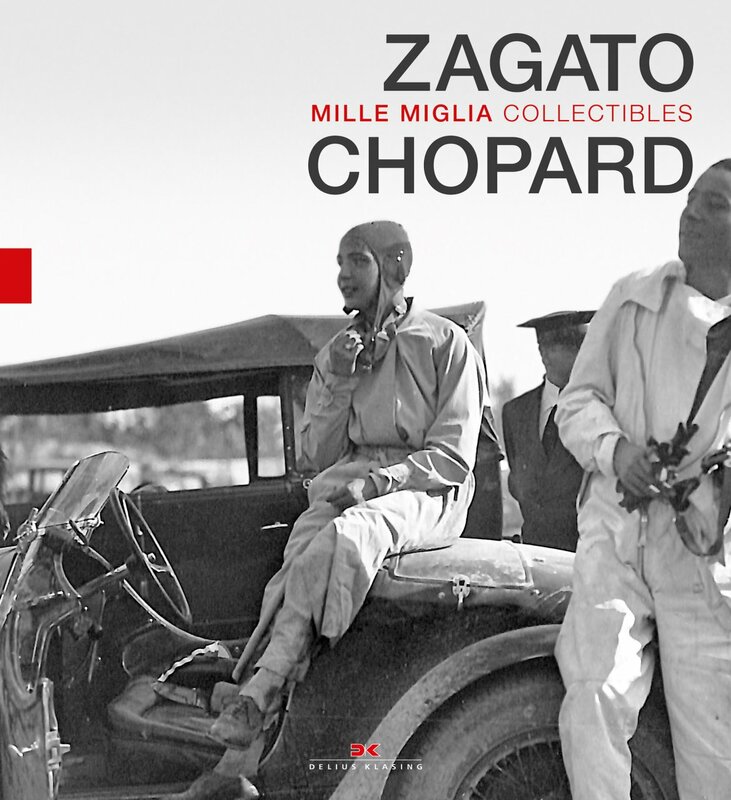 Greatest wins, most successful drivers, and fastest models – the illustrated book „Chopard and Zagato“ presents the history of legendary Mille Miglia from the perspective of two famous luxury brands, who greatly influenced the Italian endurance race. The development of bodywork designer Zagato goes with the brand’s sporting successes at the historic Mille Miglia. Zagato models took part in all 24 races until 1957, and eight times a Zagato design was overall winner. Since 1988 Chopard is sponsor and official timekeeper of Mille Miglia, and the watchmaker’s „Mille Miglia“ collection, a cooperation with Zagato, is one of the company’s great sucesses. The book is published by the Zagato and Scheufele families. In 1963 the German Scheufeles took over the Swiss brand Chopard, and branched out into motorsports. The shared history of Mille Miglia, Chopard and Zagato in one book.